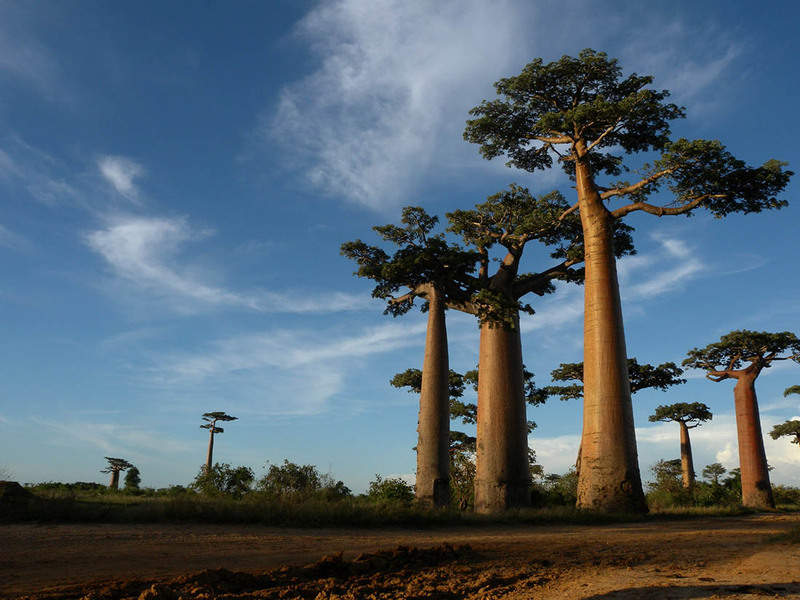 Heard about the Baobab? 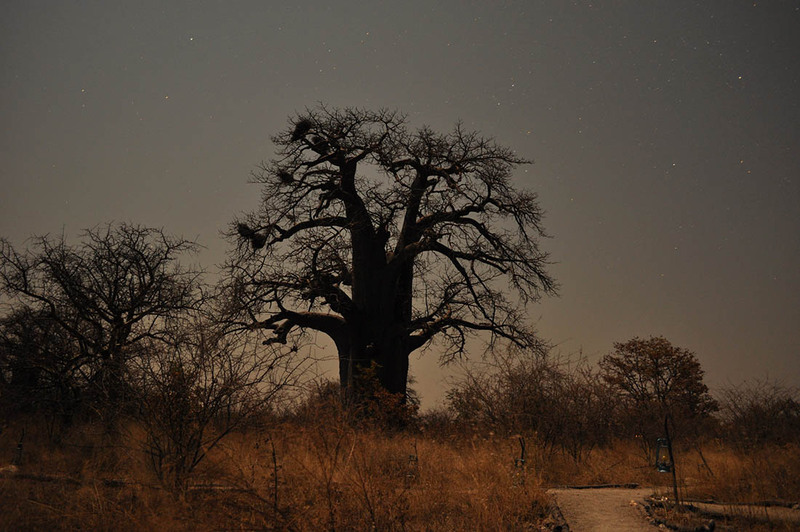 Well here are some interesting facts about this magical African tree. 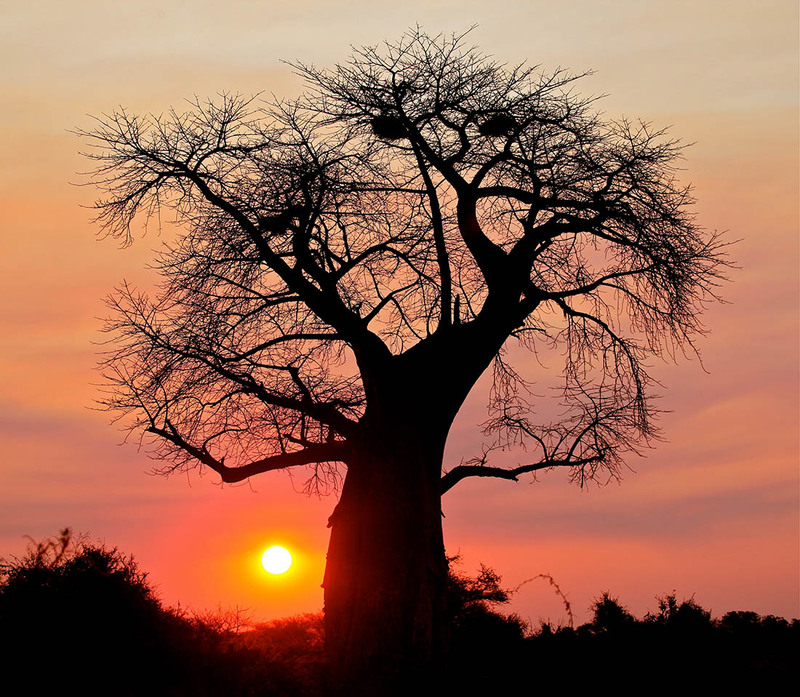 The Baobab tree grows in hot low-lying areas in Africa and Australia. 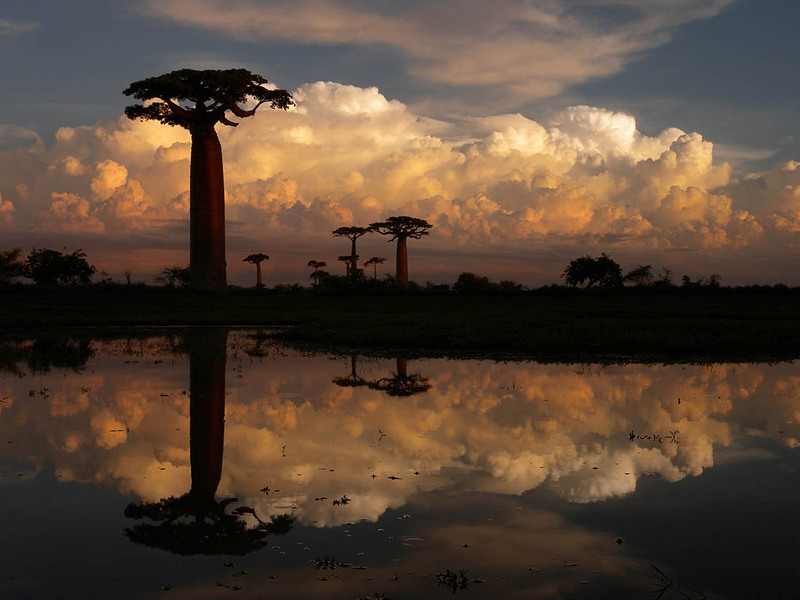 There are a total of nine species, six are found in Madagascar, two in mainland Africa, and one in Australia. 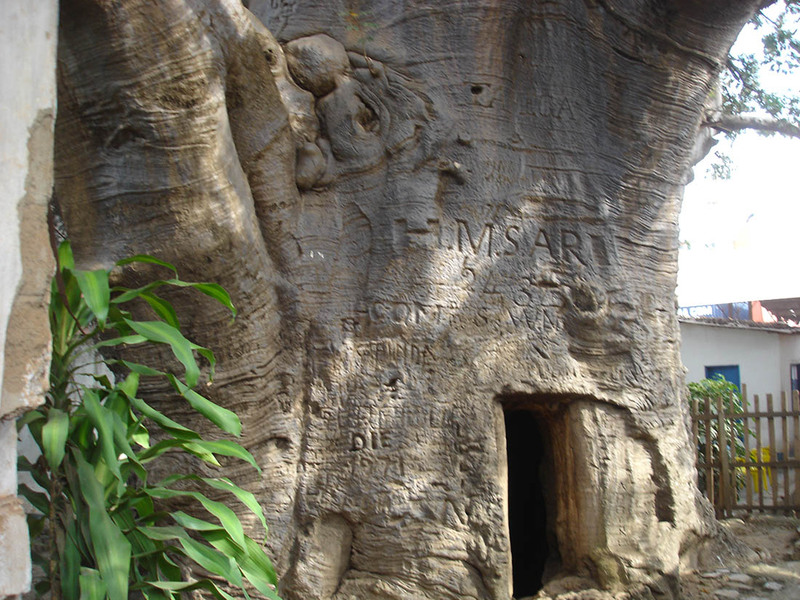 Regarded in many parts of Africa as the ‘tree of life’, the baobab tree is steeped in a wealth of mystique, story and legend. 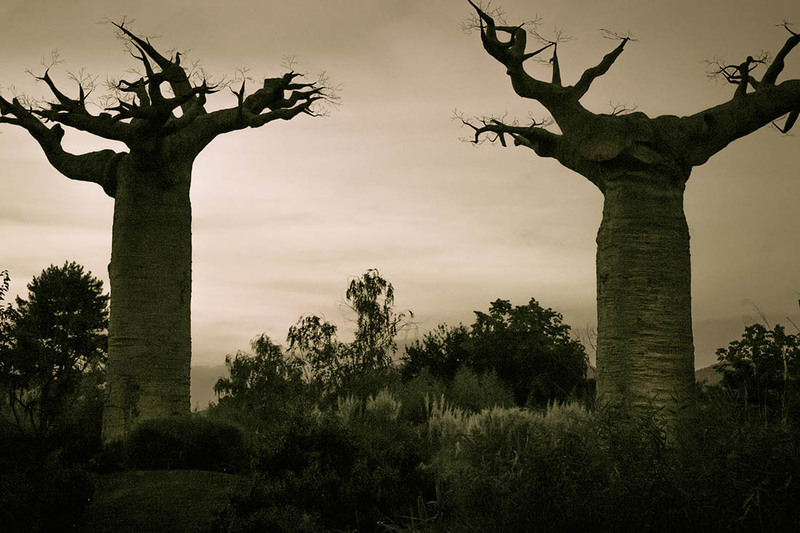 The Baobab is a strange looking tree, recognizable by their distinctive swollen stems and branches which when bare of leaves, are so contorted and twisted, that it appears to be upside down. 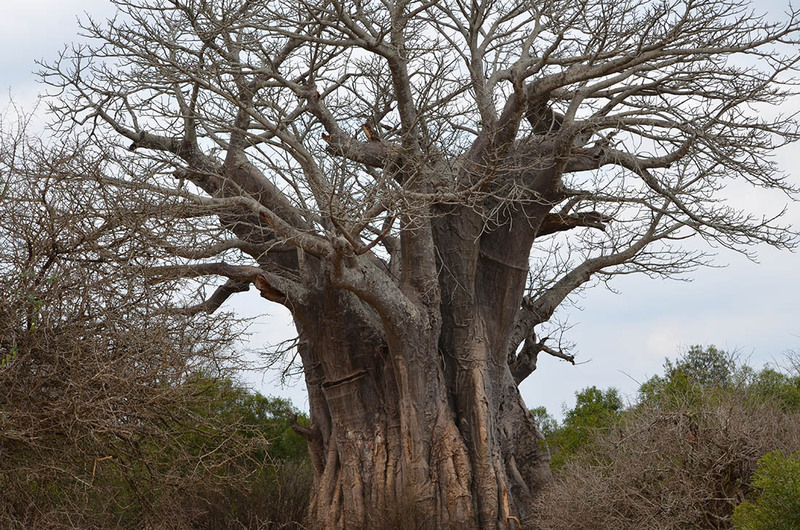 Interestingly a young Baobab looks very much like a normal tree, vastly different from an adult tree, that’s why some African folklore claim that it doesn’t grow like other trees, but suddenly crashes to the ground with a thump, fully grown. 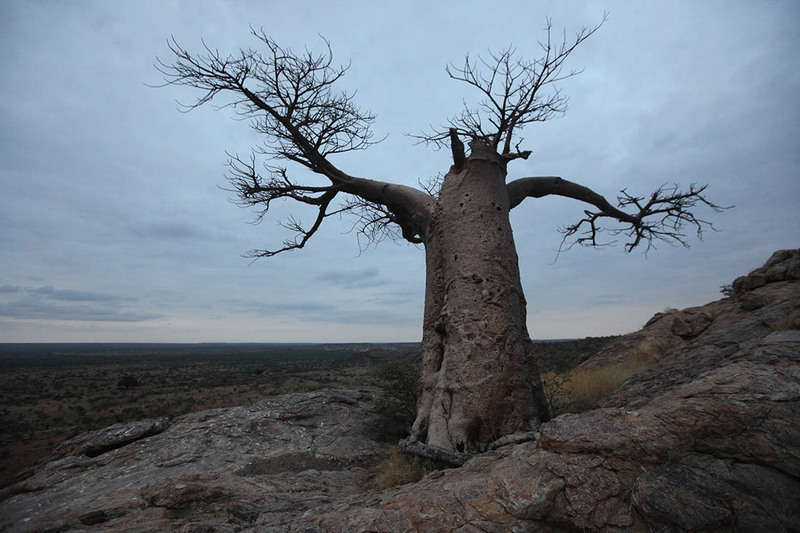 The Baobab’s resilience and size have made it impervious to most of the effects of weather and environment. 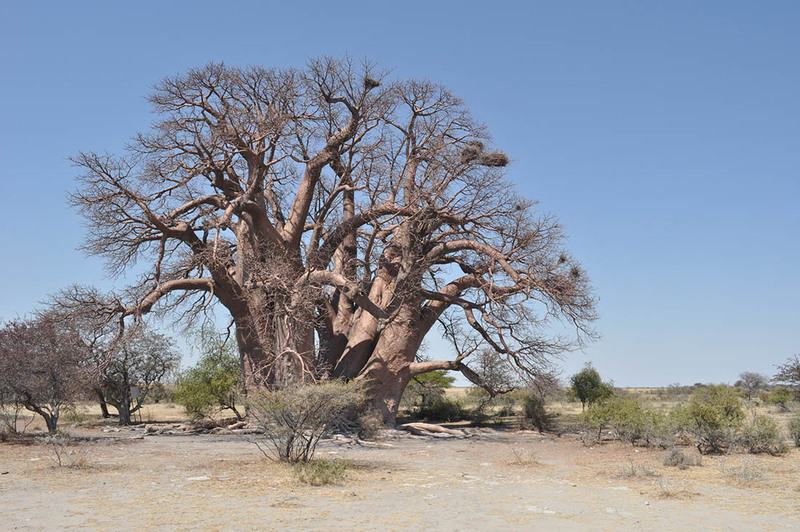 Baobabs can be burnt, or stripped of their bark, but the tree’s regenerative properties are such that this has little long term impact and carry on growing. When they do die, they rot from the inside and suddenly collapse, leaving a heap of fibers, which makes many people think that they don’t die at all, but magically disappear. 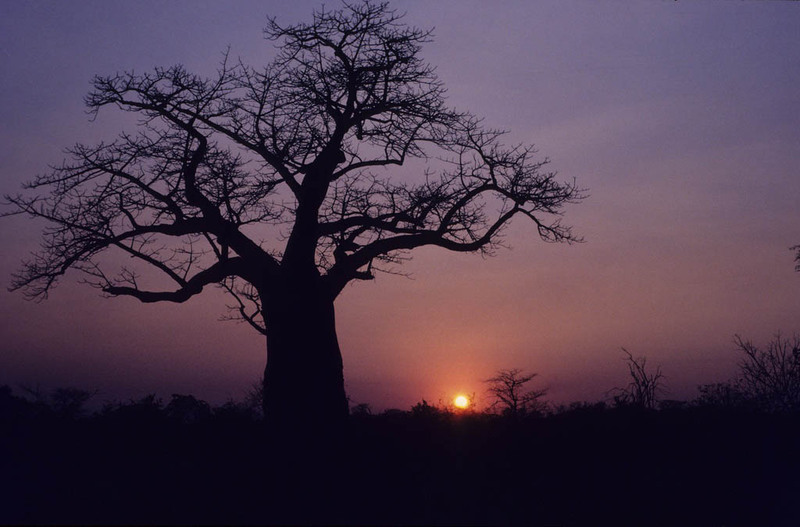 The Baobab tree can create its own ecosystem, supporting a host of wildlife from the largest of mammals to thousands of tiny creatures. 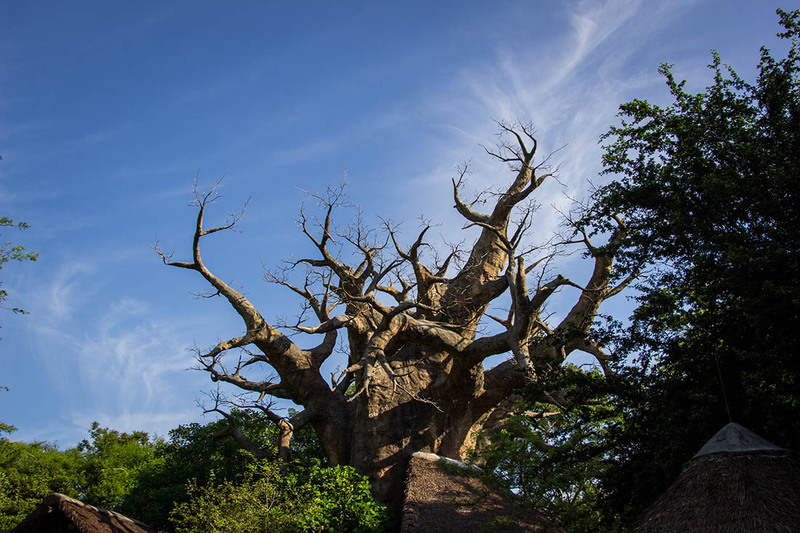 Birds nest in its branches; some large mammals use it’s hollowed out trunk as dwelling places; the crevices provide hiding places for tiny creatures, baboons devour the fruit; bush babies and fruit bats drink the nectar and pollinate the flowers and the bark is especially popular with elephants. 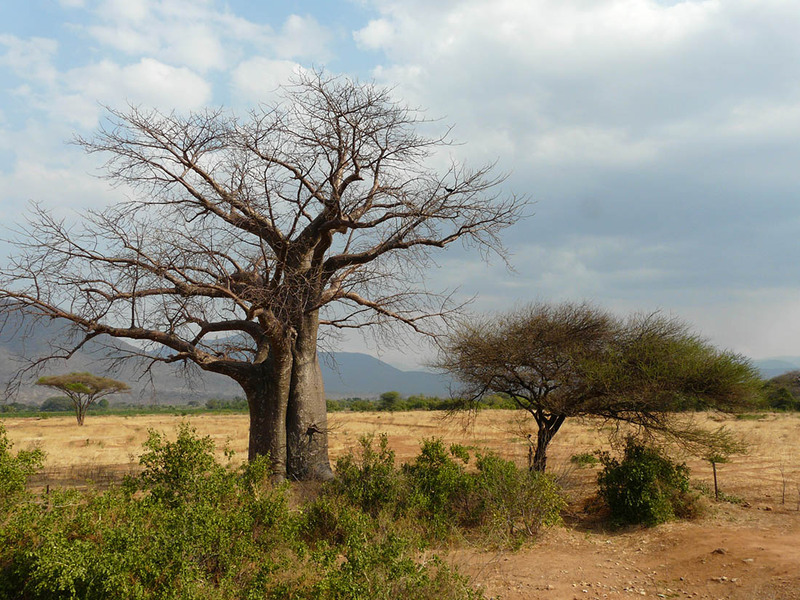 Bee hives also are often to be found in the branches of Baobabs, and local people will rely on these trees to provide honey. 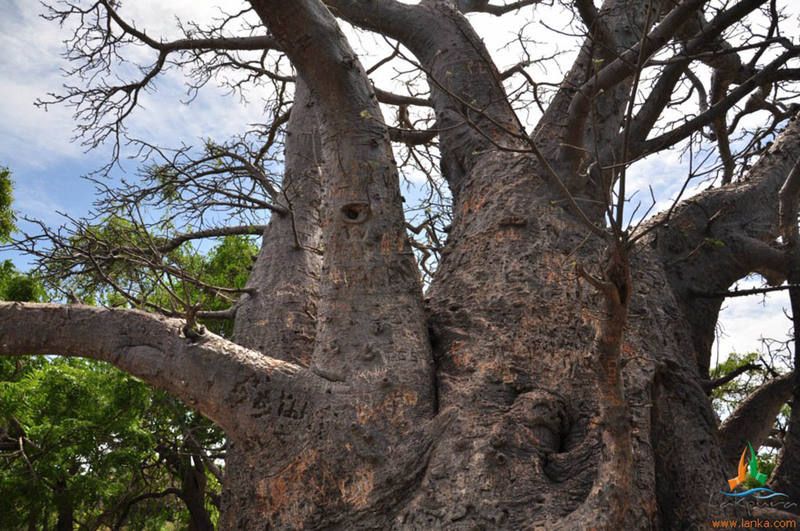 Few African trees exist with a greater array of traditional uses than the baobab tree. 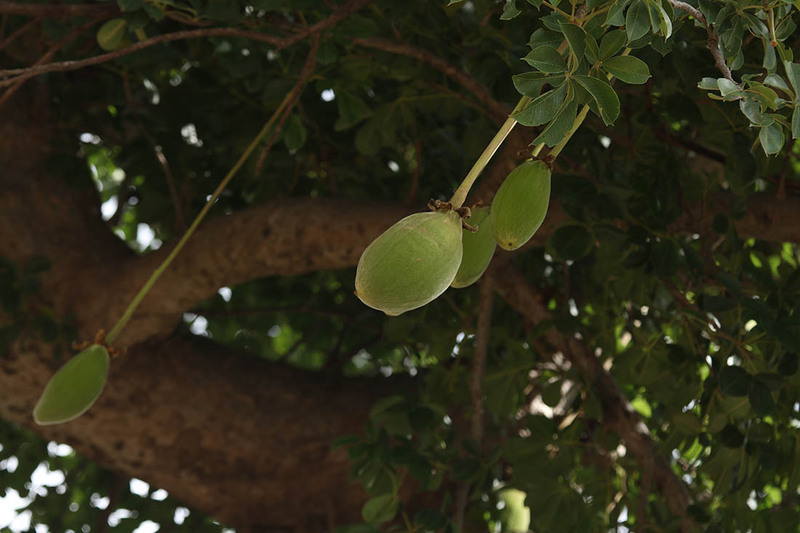 As a food, its leaves are commonly eaten as relish, especially in times of drought, and its fruit are a favorite of cattle-herders and children across Africa. When dissolved in milk or water, the resultant liquid is taken straight as a drink, or as a sauce for food, a substitute for cream of tartar in baking, and a fermenting agent in traditional brews. The seeds which may be eaten raw or roasted, yield an edible oil, which is a useful substitute for vegetable oil, and are sometimes ground up to produce a coffee-like hot beverage. The pulp is consumed to treat fever, diarrhea, malaria, hemoptysis and scorbutic complaints (vitamin C deficiency). 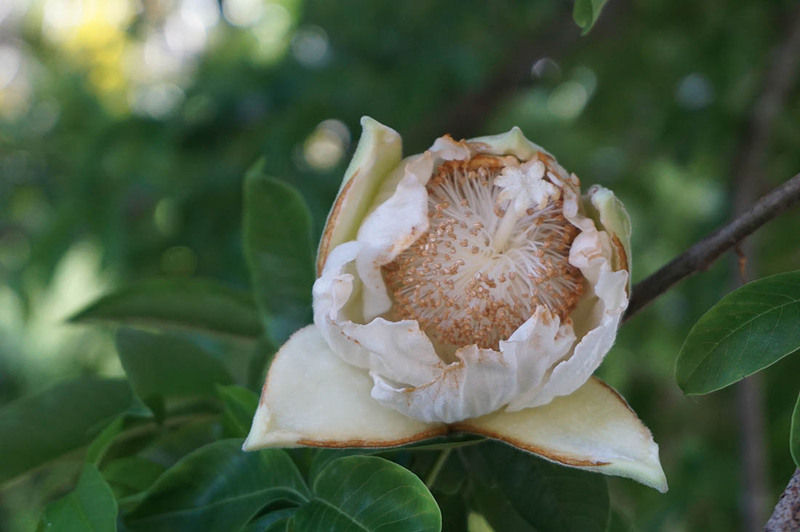 The bark and leaves are also useful in the treatment of fever, and are reported to have anti-inflammatory and diaphoretic properties. 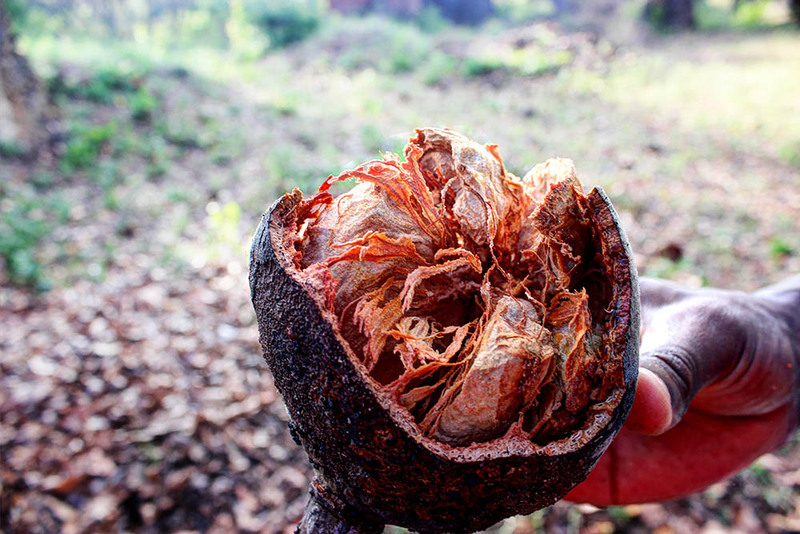 The seed is either pulped or applied externally or drink in water, to cure gastric, kidney and joint diseases. 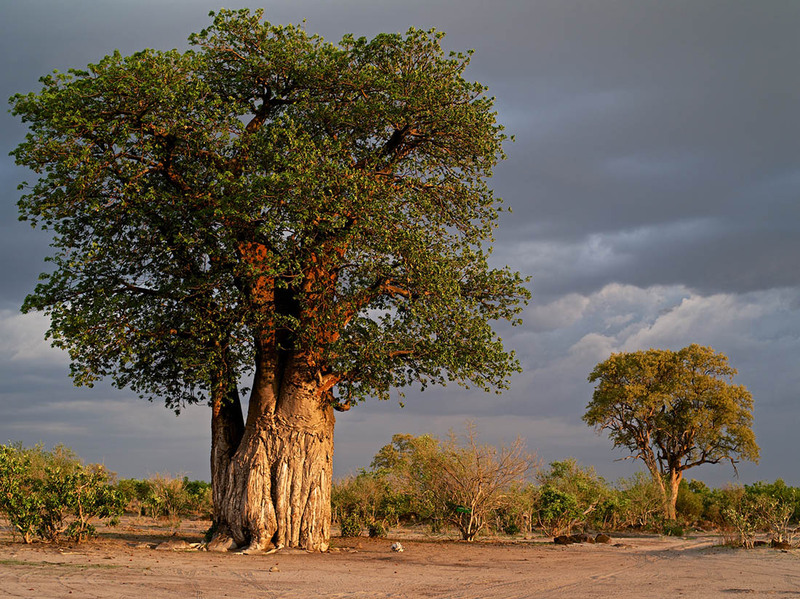 In the Kalahari, San Bushmen use the seeds as an antidote to Strophanthin, a common plant-derived arrow poison. Its bark makes an excellent fiber, employed in basket, rug, rope, waterproof hats and animal snares, sacking and even strings for musical instruments. 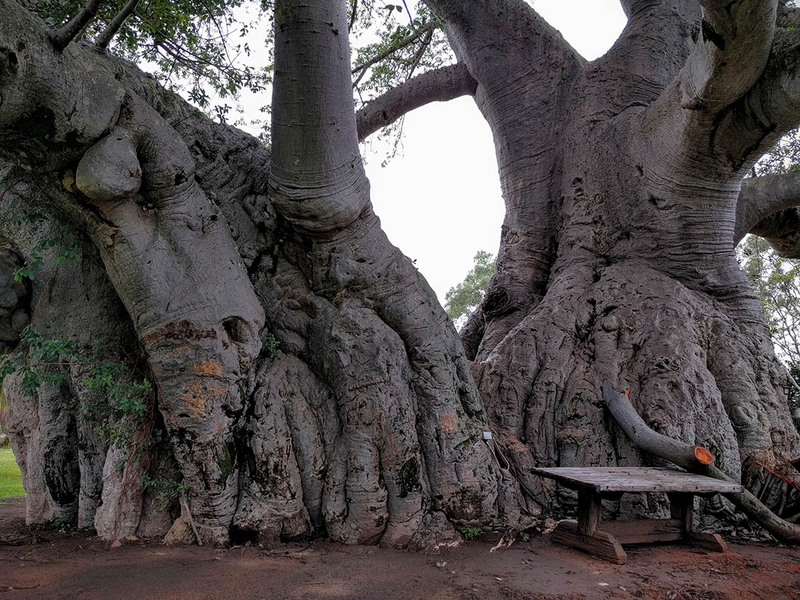 The baobab has only recently made its way into the mainstream. 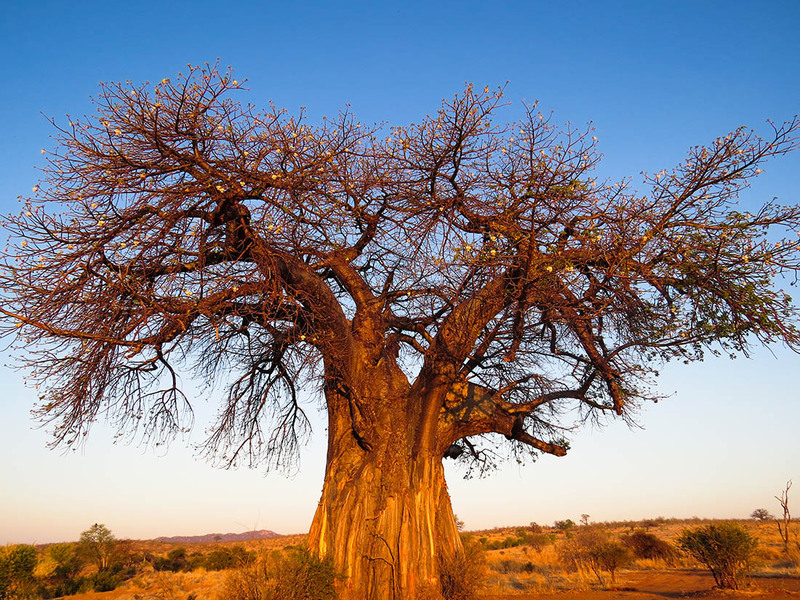 The fruit of the baobab tree has joined the ranks of super-foods (plants considered to have remarkable nutritional value and health benefits). Derivatives of the fruit powder can now be found in health food stores across Europe and the US. A powerhouse of nutrients it is said to have six times more vitamin C than oranges, more potassium than bananas, more antioxidants than blueberries and more than twice the calcium level of milk. 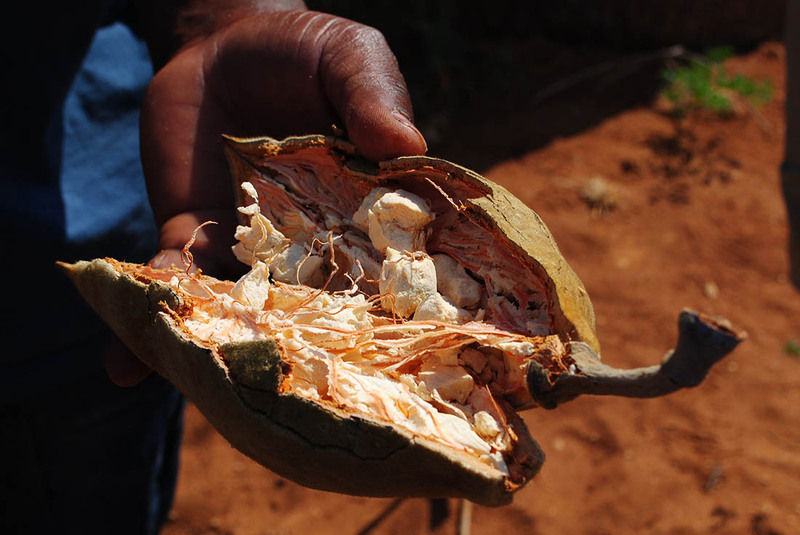 Given these nutritional benefits, consumers around the world are purchasing the baobab powder, which is providing much needed income to the communities that live around Baobab trees. Harvesters, who mostly come from rural communities, are using the income to improve their quality of life. 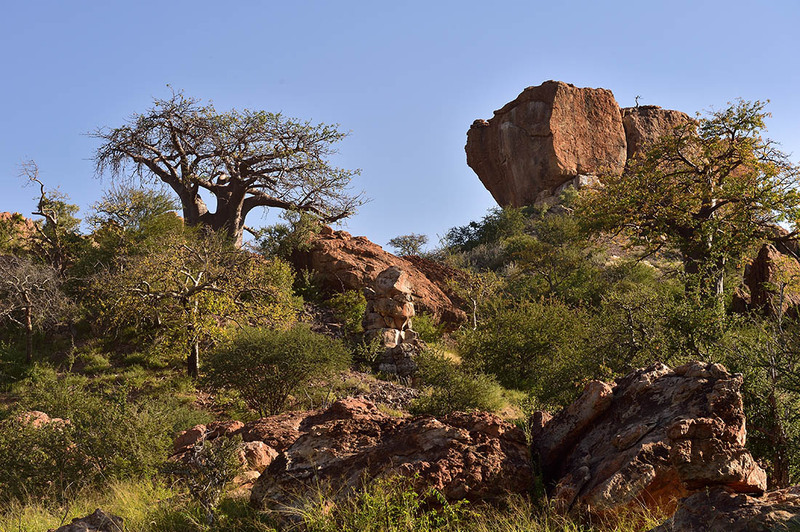 Now that the trees also have an economic value, they are being protected to an even greater extent.